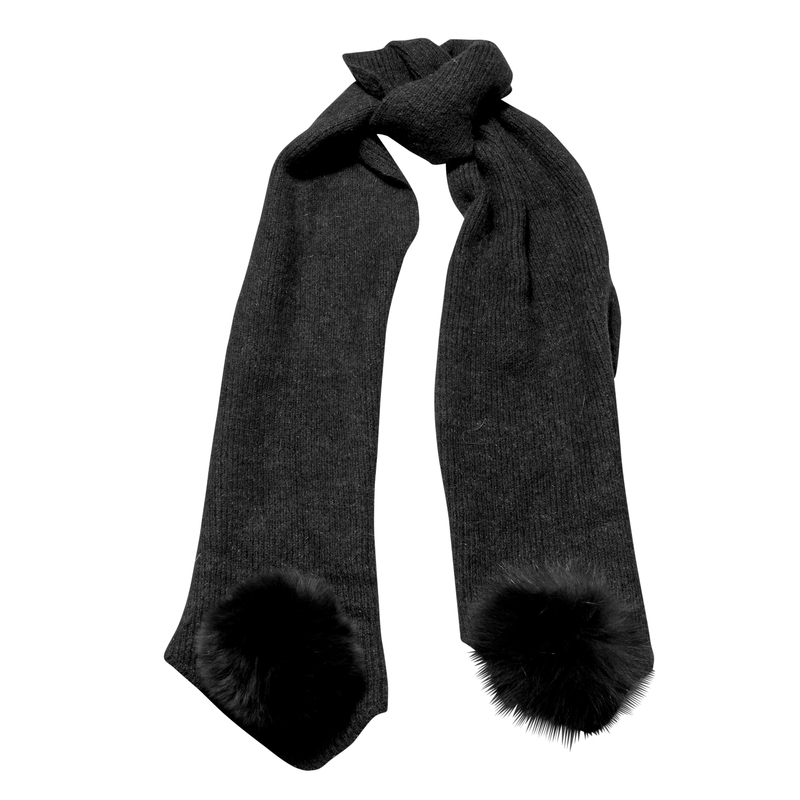 This pom pom scarf is the perfect combination of style and quality all rolled into one. The softness of the scarf with the geniume fur pom poms set at either end will keep you warm in the cold months and will add a touch of fun to your wardrobe. .